Gary Harwood has worked as a photographer and teacher for more than 30 years. He teaches Visual Storytelling and other photography courses at Kent State University and is also an Artist in Residence with the Ohio Arts Council. He is the co-author of Tiger Legacy: Stories of Massillon Football and Growing Season: The Life of a Migrant Community. His work has appeared in the Communication Arts Photo Annual, the Graphis Photo Annual, The Sun Magazine, Double Take/Points of Entry and has twice won the James R. Gordon Ohio Understanding Award from the Ohio News Photographers Association’s Pictures of the Year competition. Tiger Legacy was selected as one of the ten best photography books for the summer of 2016 by American Photo Magazine and Growing Season won the Carter G. Woodson Honor Award from the National Council for the Social Studies and the Ohioana Book Award from the Ohioana Library Association. Growing Season was also selected by the Stark County Mayor’s Literacy Program for its annual One Book One Community reading program. 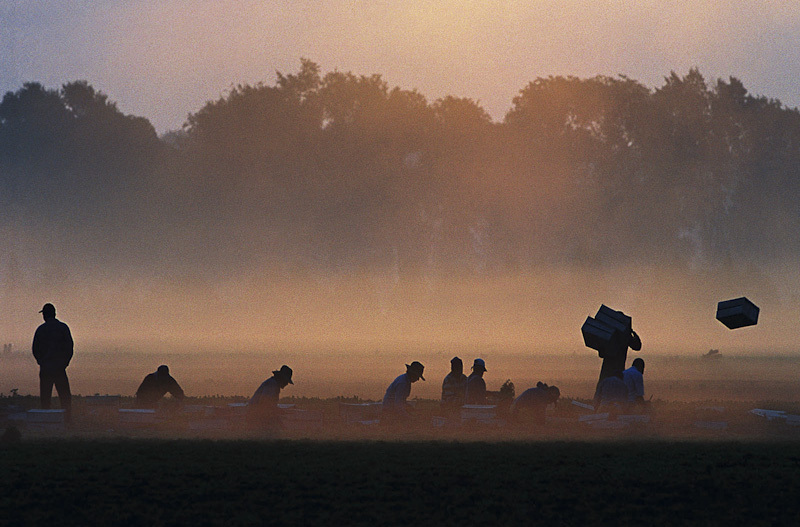 Harwood exhibited his photographs of immigrant farm workers at the Joseph Saxton Gallery of Photography, February 4th through May 21, 2011.
ing Season won the Carter G. Woodson Honor Award from the National Council for the Social Studies and the Ohioana Book Award from the Ohioana Library Association. Growing Season was also selected by the Stark County Mayor’s Literacy Program for its annual One Book One Community reading program.